Women's soccer will hope to beat Yale this weekend and bounce back from last season's disappointing result. Women’s soccer heads to New Haven this Saturday to face Yale in its second-to-last match of the season. The Lions (7-6-1, 3-2 Ivy) picked up their third Ivy win of the season, beating Dartmouth 1-0 and climbing to fourth place on the Ivy table. Columbia now hopes to continue its winning streak this weekend against seventh-place Yale (7-6-1, 1-4 Ivy). In recent years, Columbia has struggled in its matches against Yale. The Bulldogs have delivered the Lions some of their toughest defeats, namely in 2016 and 2017. In 2016, the Lions, who were undefeated in-conference, lost to Yale in overtime after letting up an equalizer late in the game. 2017 was no different, as Columbia entered the game undefeated and gave up a goal in the 89th minute to the Bulldogs in an otherwise scoreless game. 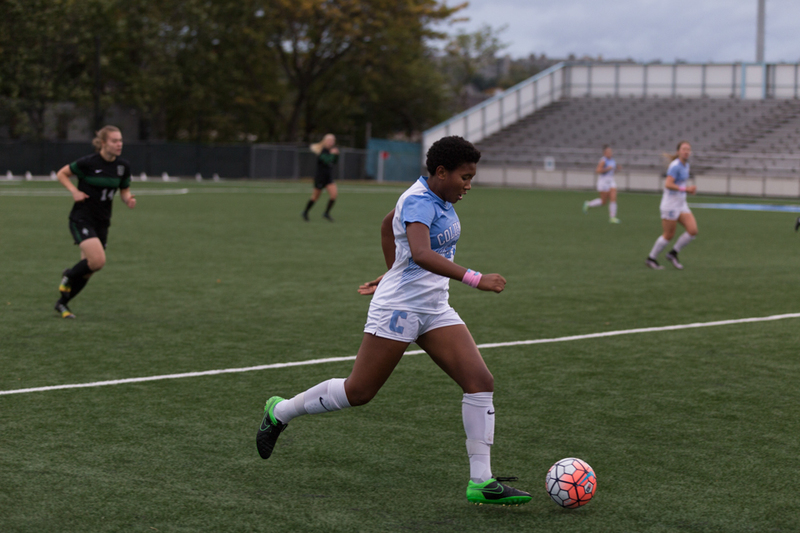 In both cases, the loss to Yale was Columbia’s first of the season and marked a turning point in play for the Lions. They were not able to even approach the Ivy League title in 2016 and 2017. Despite having already dropped two games this season, Columbia hopes to pick up a win against a team that is significantly less formidable than in seasons past. Earlier this season, the Bulldogs were shut out by Dartmouth—a team Columbia was not only able to beat but also to dominate offensively this past weekend. Kickoff in New Haven is set for 4 p.m. on Saturday, Oct. 27.